A pocket diaper is a 2 part cloth diaper system. The diaper cover has an opening or pocket specially designed to stuff an insert into. 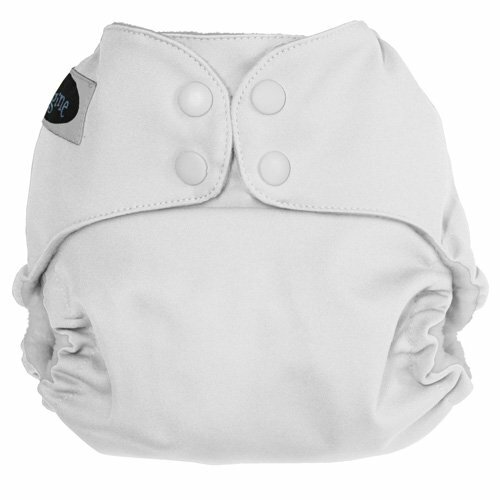 The insert absorbs the wetness and pulls that moisture away from your baby's skin. If your baby needs more absorbency for naps or overnight, extra inserts can be added to the pocket. 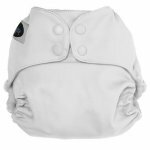 The Imagine XL Pocket Diaper's rear pocket opening is large for easy stuffing and gentle leg elastic gives this cloth diaper a snug, comfortable fit. The Imagine XL Pocket Diaper is available in Snow with snap closure.